In this article, we shall take a look at lumbar pedicle screw fixation as a procedure, looking closely at the CD Horizon sextant system. What is Lumbar Medical Screw Fixation? Lumbar pedicle screw fixation is a procedure to achieve stability of the spine by holding it together with the help of screws and rods. 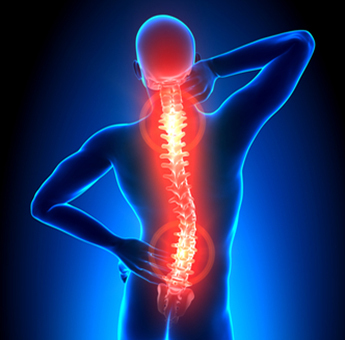 The aim of the procedure is to fuse the vertebra together in order hold them in position. When is Lumbar Pedicle Screw Fixation Performed? Lumbar pedicle screw fixation is offered to patients who have degenerative disc disease, the spinal stenosis or spondylolisthesis. The CD Horizon sextant system (Medtronic) is a system that offers lumbar pedicle screw fixation with minimal damage to the nearby tissues. How was the Procedure Performed? The procedure is a minimally invasive one and is performed under guidance of an x-ray (fluoroscopy). Once consent is obtained from the patient, anaesthesia is administered and the patient is placed in the required position. With the help of an imaging system, the area of the spine that requires implantation of the pedicle screws is marked. Once the skin is cleaned with antiseptic solution and covered in sterile drapes, small incisions are made on the back which becomes the portal of entry to the vertebra. Through each incision, a small probe is inserted which is guided all the way to the vertebra with the help of fluoroscopy. Once the probe is in position, a tiny guide wire is passed through the probe to the required position on the vertebra. The probe is removed and the pedicle screws are guided along the guide wire to the area where they need to be screwed into. Once the screws have been inserted in the required positions, they are connected to each other with the help of rods. This is conducted individually for each vertebra. The purpose of the rods is to hold the screws in position. At the same time that the screws and rods are inserted, a bone graft is also placed in order to promote the fusion of the spine. Once sufficient has been achieved, the screws and rods will still remain in place as an attempt to remove them can damage the spine. After the screws and the rods are in place, the instruments are removed and the skin incisions are closed with the help of a bandage. The patient is observed in hospital for a few days and is subsequently discharged home. The main advantage of the CD Horizon sextant system is that large incisions are not required and the procedure is minimally invasive. This means that healing times are shorter and patients can get back to their regular activities sooner. Furthermore, the risk of damage to neighbouring tissues such as muscles and nerves is also minimal. Risks and complications are very few and can include mild bleeding, infection and improper placement of the screws. These are rare in the hands of an experienced surgeon.